Preparing your home to welcome your newborn is a fun, exciting time filled with picking out paint colors for the nursery, stocking up on baby wipes, and making sure that everything is perfect for that special day when your new baby comes home for the first time. One task that should not be overlooked is the selection of soft, comfortable bassinet sheets that will ensure that your baby is as content and comfy as possible while in the bassinet. Babies spend hours upon hours in their bassinets as they get much-needed sleep that keeps them healthy and growing. Proper bassinet sheets will help to ensure that your baby gets the restful, healthy sleep that he or she needs. 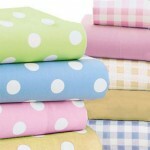 1) For your convenience, make sure they are machine washable and dryable. 2) Measure your bassinet mattress pad before shopping for bassinet sheets, particularly if it is an uncommon shape or requires specially-designed bassinet sheets. 3) Once you find bassinet sheets that you like, buy several. You will find that just like your baby’s clothes, blankets and other items, bassinet sheets are dirtied on a regular basis, so make sure you have plenty of bassinet sheets on hand. 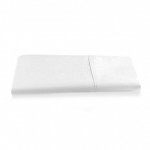 4) Buy bassinet sheets that are fitted and that fit snugly on your bassinet mattress. While your baby should no longer be sleeping in a bassinet once he or she can sit up or roll over unassisted, little ones can still grab bassinet sheets and become tangled in them just from normal squirming. 5) If you are considering economy bassinet sheets, make sure they are pre-shrunk. Well-made bassinet sheets will still fit your bassinet mattress pad after washing, but some cheap bassinet sheets may not. Once you have selected your bassinet sheets, you will want to launder the bassinet sheets before placing them in your baby’s bassinet. Simply from the normal handling, production, packaging and transportation that come with any baby products, most moms choose to wash even organic cotton bassinet sheets prior to use. Remember that your baby’s bassinet sheets will be in close contact with your baby several hours each day. Because of this, for white bassinet sheets you might consider adding non-toxic baking soda to the wash cycle, or allowing line drying in the sun, to naturally whiten your bassinet sheets, rather than using harsh chemicals and bleach. You will find that choosing the right bassinet sheets – and making sure you have enough on hand – will ensure a better sleep for your precious newborn baby. This entry was posted on Tuesday, April 14th, 2009 at 9:10 pm	and is filed under Bassinet Guides. You can follow any responses to this entry through the RSS 2.0 feed. You can leave a response, or trackback from your own site.